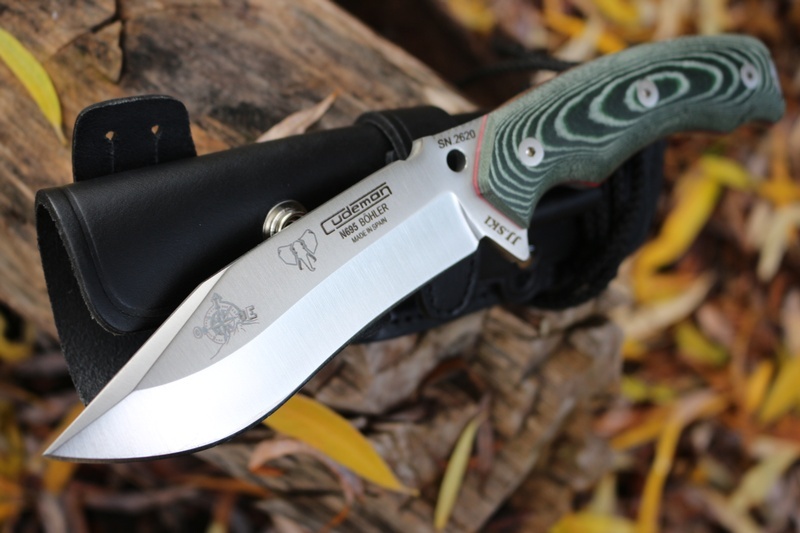 New from Cudeman of Spain this is the V Survival knife. 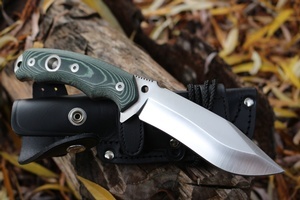 Very well thought out and tough survival knife, full broad tang and solid micarta slabs, liner and stainless rivets. The Steel is the excellent Bohler N-695 and gives great edge holding (61HRC) and tougness. 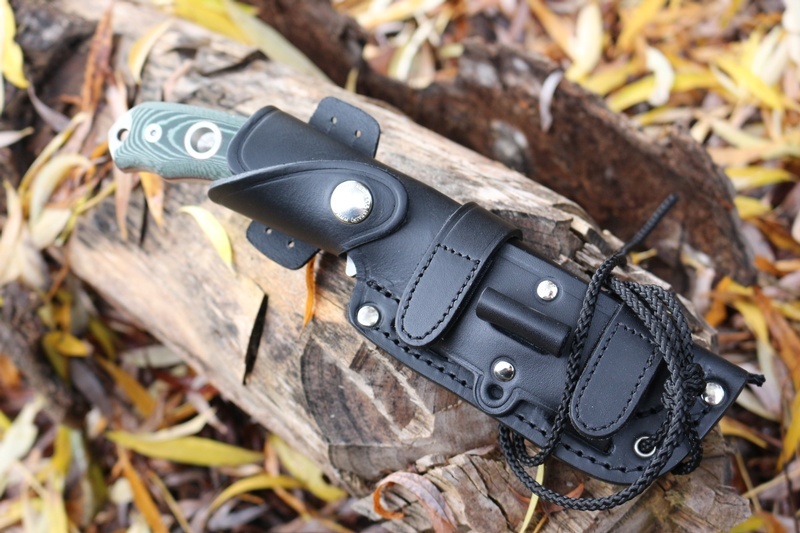 The knife is well designed with useful features and a well made sheath. Each knife is individually numbered. 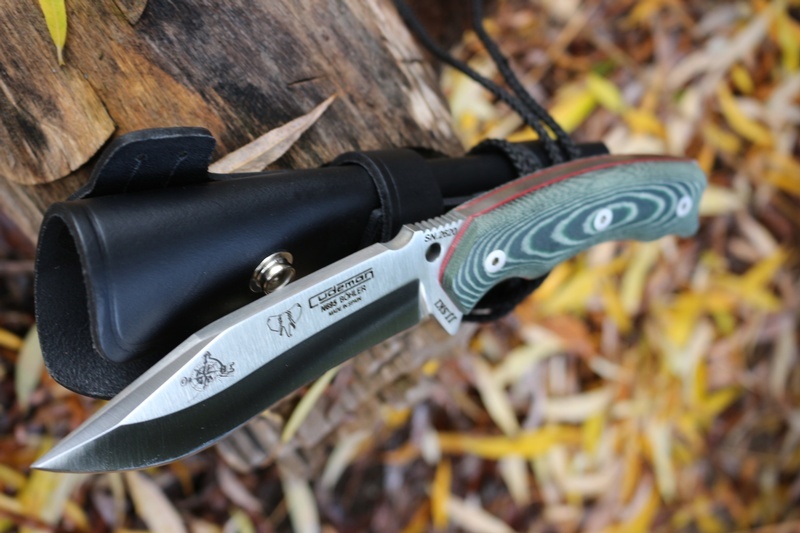 Purchase through PayPal by using the "Add To Cart" button above or use the form below to order the Cudeman V Survival Knife . 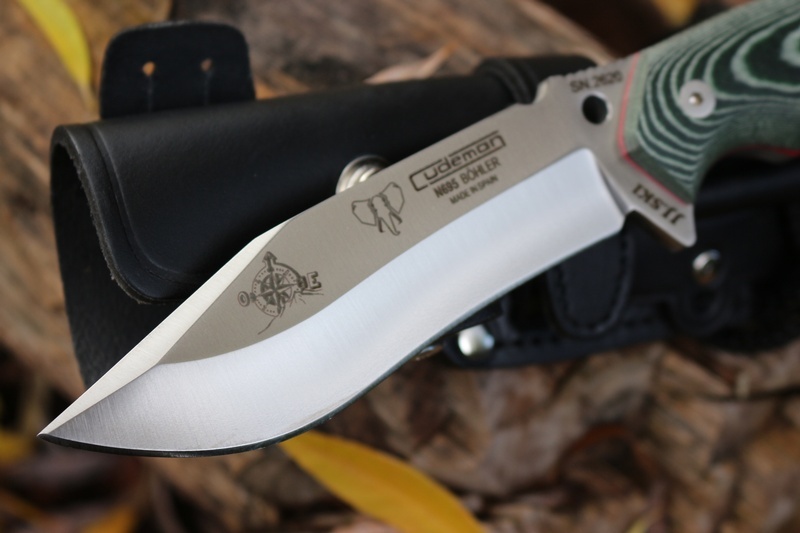 Feel free to contact us if you have any questions about the Cudeman V Survival Knife .